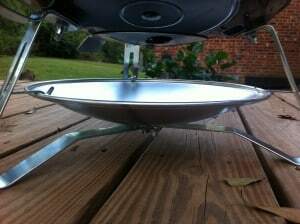 I put my Weber Jumbo Joe together last night and I still like the idea of this grill. Here is a picture of the Jumbo Joe (left) with the Smokey Joe Gold (right). Assembly was quick (15 minutes and 40 seconds) and painless. I would have gotten done in less than 15 minutes but I wasted two minutes freaking out over screws. The instructions indicate the air vents are assembled with Philip head screws and all I could find in the kit were flat heads. I kept going through the packaging looking for the set of screws I thought I had lost. I hadn’t lost anything, the included flat heads worked just fine. Make sure you do not over tighten the screws holding either air vent in place. You want the vents to be snug but if you tighten too much it will be really hard to adjust the vents while you are grilling. You also risk chipping the porcelain if you go overboard. A second part of the assembly that is not immediately obvious is the proper placement of the ash catcher. All three support legs have a built in metal tab that together provide the support mechanism for the ash catcher. The most obvious thing to me was to place the ash catcher on top of the tabs. While this placement works it is also very insecure. I looked at the instructions closer and saw that the ash catcher actually goes UNDERNEATH the metal tabs. The tabs are not supposed to be a table for the catcher to rest upon. 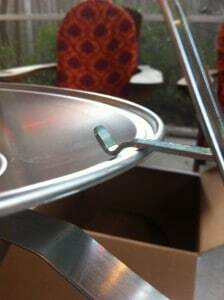 Instead the tabs are latches that hold the ash catcher down by pressing it against the support legs. Very nice and very stable; this ash catcher isn’t going anywhere until I take it off. 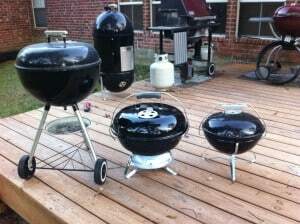 Once I had everything together I snapped this picture since I think it captures the essence of why I like the Weber Jumbo Joe. On the right is the small but highly portable Smokey Joe Gold. On the left is the larger 18 inch One Touch Silver. It has a lot more grilling space but is too bulky and unwieldy to actually take with you anyplace. In the middle is the Jumbo Joe. 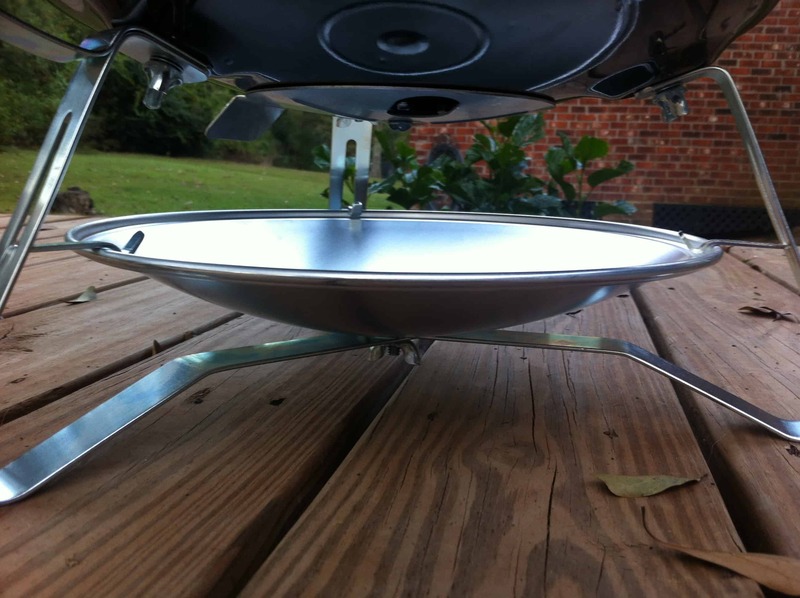 It has all of the portability of the Smokey Joe Gold and all the grilling area of the 18 inch One Touch Silver. The only serious weak point I see on the Jumbo Joe is the design of the bottom air vent. 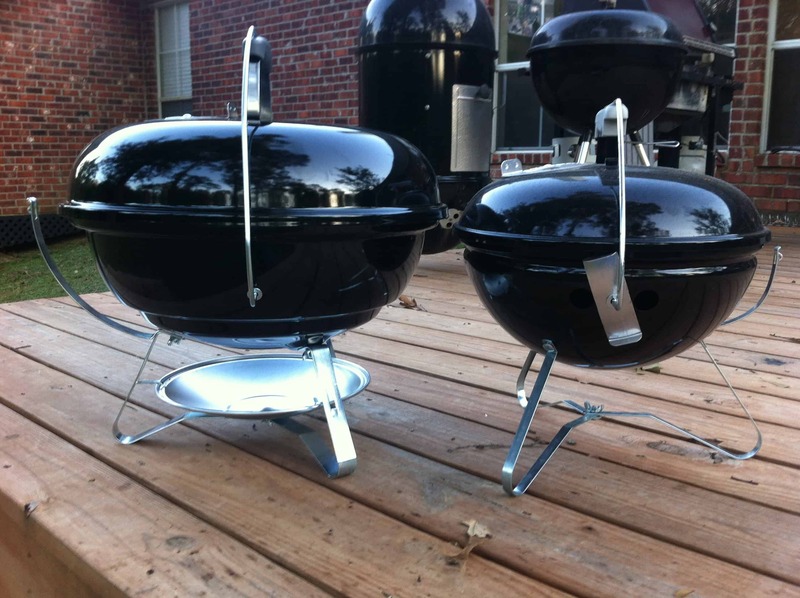 The location of the vent is perfect for getting the proper air flow through the grill. What is missing is any sort of heat resistant material to enable you to safely adjust the vent while in use. The instructions that came with the grill clearly indicate that you will need to use an oven mitt or equivalent to adjust this vent. It is not a big deal but it is worth knowing. I broke this guy in by grilling up a few chicken thighs. The Jumbo worked great and was real easy to clean up afterwards. I am going to have fun with this guy! 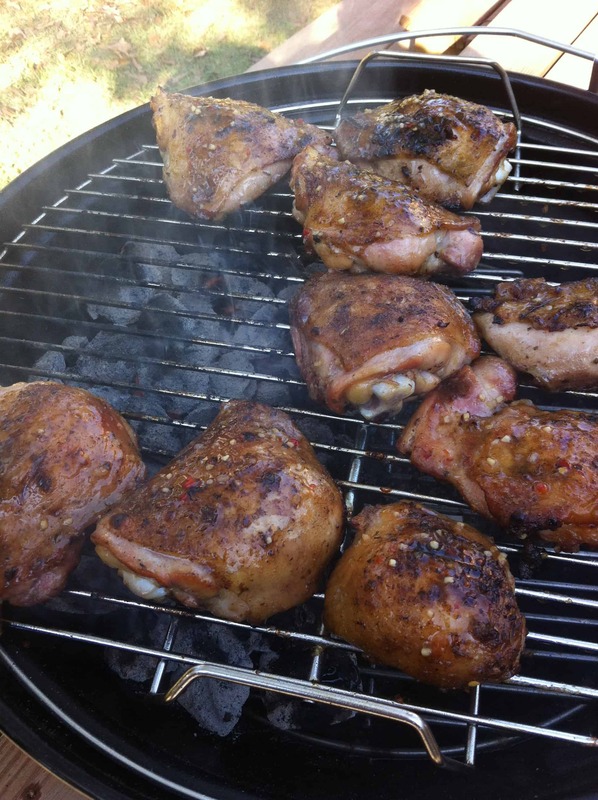 Updated 11/18/12…Here is my full Weber Jumbo Joe Review. I think the easiest think for you to do is to buy the “Standard” Weber cover for 18.5 inch kettles and then just cut it down to size. The standard cover is less than $10. Here is the link.